Get Cooking Faster with Quick Boil - Our powerful 3,200 watt element allows you to boil water in less than three minutes. SpaceWise® Expandable Elements - Flexible elements expand to your cooking needs. 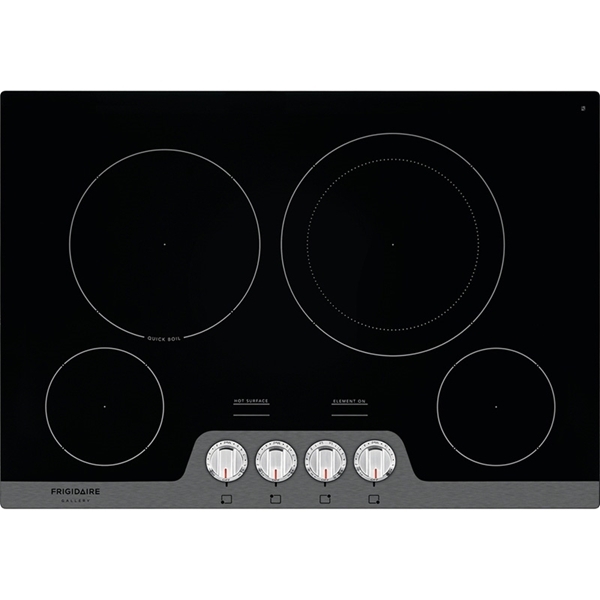 Frigidaire Gallery Easy to Use Front Controls - Controls located on the front of the cooktop allows you to adjust the temperature without reaching over hot items.